At long last it is done! We finally have a proper picture of myself and Ole on the site. If you’ve been wondering how we look, you can find it in the About section along with some information about us. The picture is the same one that’s in the Classic Bike story about us, big thanks to Robert and Ola who are letting us use it on our website. 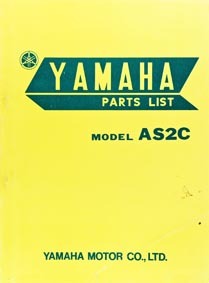 No update is complete without something new: we’ve added a new parts list to the Manuals section. This time it’s a highly relevant one, for the AS2C. You can download it below or from the Manuals page!